Looks like screenshots and videos of the yet-to-be released Android 2.3 Gingerbread isn’t enough for some users and developers. With the release of the Android 2.3 SDK this week, looks like some of the Android Devs at XDA, have decided to put together some real basic, and I guess you could say “primitive” Gingerbread ROMs for several different Android phones. These ROMs are strictly for testing and development purposes, they can’t be used as a regular, day-to-day ROM either. Almost all important phone functions do not work in these ROMs. These ROMs can only boot up, and can only be used to play around with the new Gingerbread interface, nothing else in most cases. Now you’re probably saying to yourself, “what’s the point of that?” These SDK ports are only to be used by those that want to see what Android 2.3 will look like on their phone. I got to tell, I installed the ROM on my old myTouch 3G, and it looks really cool. The new launcher and keyboard are awesome. If you are interested in trying out one of these ROMs, there are a few things to remember. First you need to make sure your phone is rooted. Next you should (always) do a full backup of your phone, either a Nandroid backup, or whatever program you prefer. After that you copy the ROM to your SD card, boot into recovery, wipe, and flash! Now you can play around with Android 2.3 for a little while. Remember most stuff won’t work on your phone, so there’s no need to hassle the Devs, they can’t do anything about it till there is a actual Android 2.3 source image available. 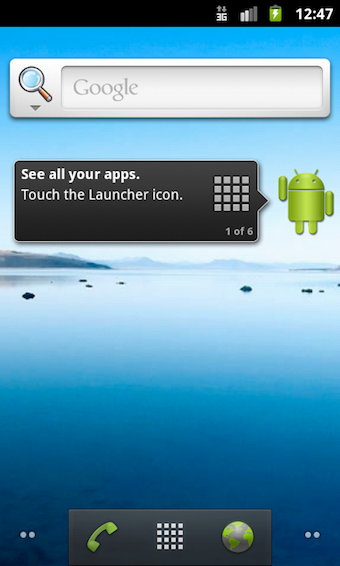 Head over to XDA for all downloads and any further instructions per device.